Words: In noctis umbrâ désides, Charles Coffin (1676-1749), Breviarium Parisiense, Pars Hiemalis, (Parisiis, 1736), p. 141. Source: Breviarium Parisiense, Pars Hiemalis, (Parisiis, 1736), p. 141. 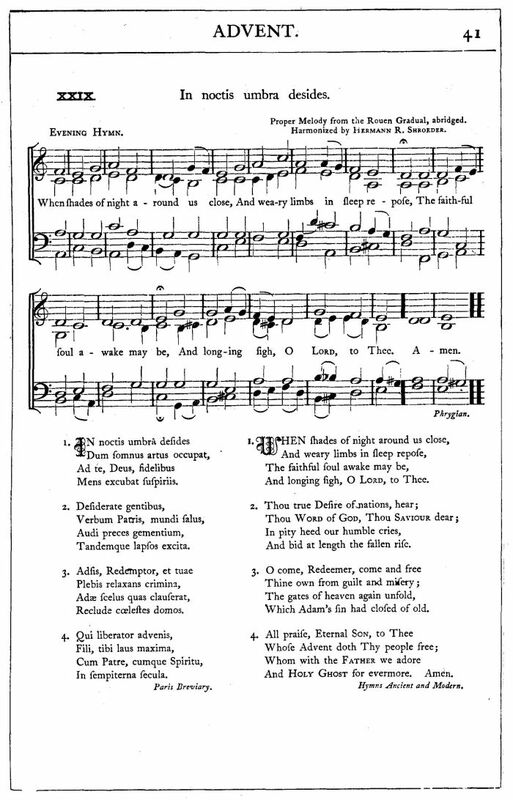 "Proper Melody from the Rouen Gradual, abridged.